How we helped Mary Kay make data-driven decisions, increase average order value and boost profits. With a presence in 39 countries worldwide and annual revenues in excess of US$3.5bn, Mary Kay is one of the world’s largest cosmetics wholesalers. Company profitability hinges on the sales performance of third party sales reps, which means Mary Kay’s analysts monitor sales closely. But with around 3.5 million sales reps worldwide, monitoring any single KPI becomes difficult. Mary Kay’s analyses were taking up to two weeks to prepare – by which time findings were already out of date. Before introducing Polymatica, Mary Kay’s reporting processes were excruciatingly slow. To work out where sales were unusually high, where sales were unusually low and why, Mary Kay needed to interrogate a number of variables from large and dispersed data sources. Analysts needed a solution able to work with vast datasets. Ultimately, Mary Kay were looking to increase profits through smarter decisions. 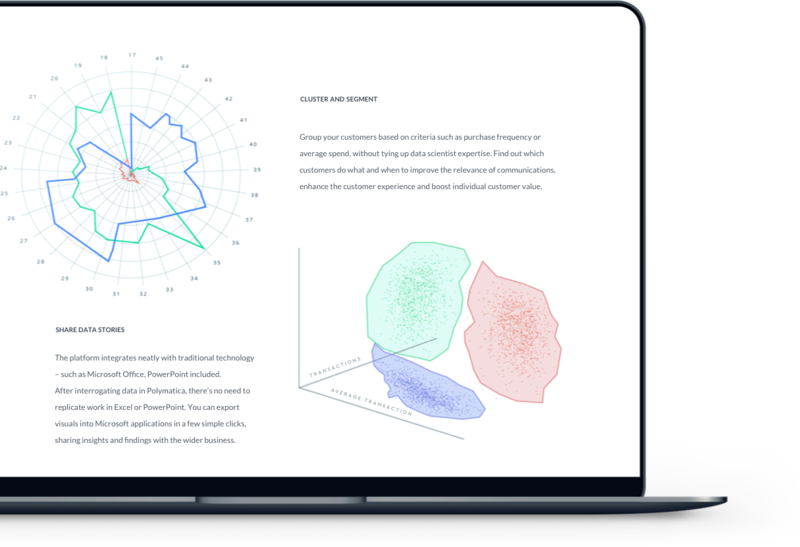 In order to make smarter decisions, Mary Kay managers needed to be able to understand the stories being told by their data at a glance; a need that made data visualisation particularly important. With the requirements mapped out, Mary Kay began looking into potential solutions. We knew our platform could work with unlimited-size datasets in minutes, and we therefore knew it could solve the company’s problems with scale and speed simultaneously. Similarly, we knew Mary Kay’s overall goal was to turn data into insight to drive business growth – and we knew only a platform capable of working with full datasets quickly could help. After we’d demonstrated the power of our platform at trial, Mary Kay implemented Polymatica. Before Polymatica’s introduction, sales reports took weeks to prepare. Now, they’re complete in minutes. Mary Kay’s analysts are no longer constantly concerned with the same analyses – and can use their time to uncover further meaningful insights. Thanks to the efficiency of Polymatica’s analyses, Mary Kay’s business decisions are now data-driven. Directors are no longer driving the company blind. Instead, they’re using their data to make informed choices. Our platform allowed Mary Kay’s analysts to spot key trends in their tangled web of data. Specifically, the company discovered which of their products proved most popular in particular regions. By optimising their product suite, Mary Kay have increased average order value by 15%. What’s more, the IT team now expect to use their data to decrease costs – further increasing profitability. – Ilya Sadovenko, Director of IT, Mary Kay Europe.